amajLIme is a chromoprotein originating from the coral Anemonia majano where it takes its name. It exhibits a yellow colour when expressed. amajLime has significant sequence homologies with proteins in the GFP family point to a common ancestry. The protein has an absorption maximum at 458 nm giving it a yellow hue visible to the naked eye. (visible wavelength: 390 to 700nm) amajLIme is a useful reporter protein and does not require microscope facilities to see. 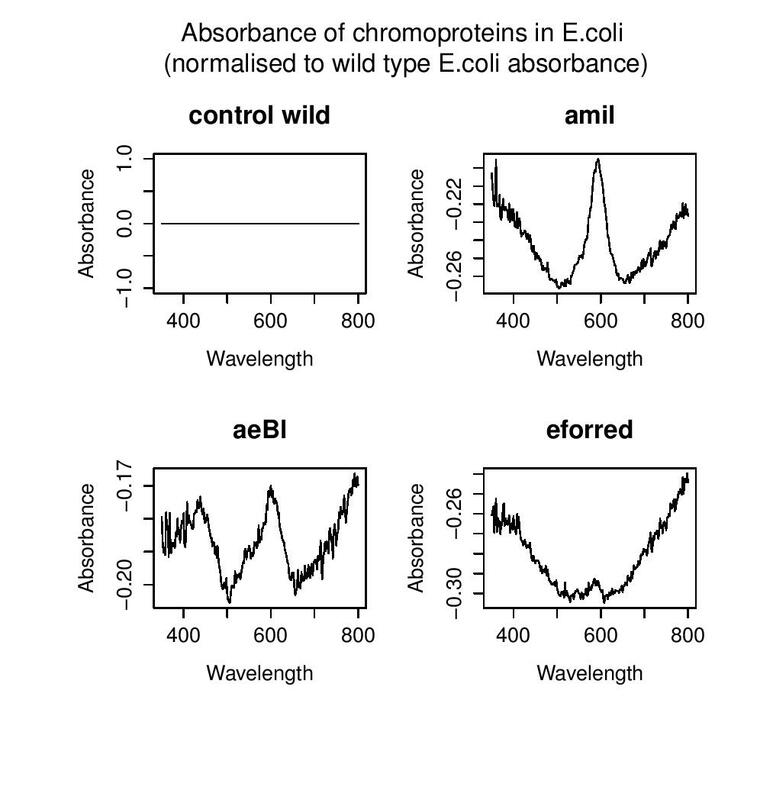 Compared to many other chromoproteins, such as amilCP (BBa_K592009), amilGFP (BBa_K592010), spisPink (BBa_K1033932), asPink (BBa_K1033933) and aeBlue (BBa_K864401), the color development is slower. The chromoprotein can be readily observed when expressed in E.coli in both LB or agar plate cultures after 24-48h of inoculation. This protein has also been successfully expressed in Marchantia polymorpha, a promising new plant chassis. To find out more about Marchantia polymorpha and its introduction as model organism for plant synthetic biology visit Cambridge iGEM 2014 page or marchantia.org . This version of amajLime is compatible with the GoldenGate standards as described in the 'design section' which allows more efficient assembly of parts. The protein structure or expression pattern is unchanged by this alteration which only affects the sequence before and after the CDS. The protein was sourced from the pre-existing biobrick: BBa_K1033916 Originally it came from Anemonia majano. The protein was first extracted and characterized by Matz et. al. under the name amFP486 (UniProtKB/Swiss-Prot: Q9U6Y6.1 GI:56749103). This version is codon optimized for E coli by Genscript.